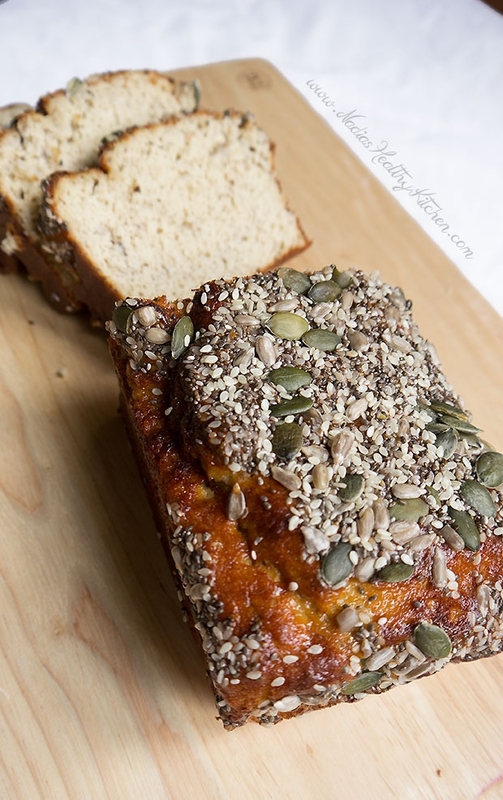 High protein, low carb banana bread that's gluten-free and has no added sugar! In a large bowl, mix all the dry ingredients apart from the pumpkin seeds. Mash the bananas well using a fork then add to a separate bowl. Mix in the eggs, yogurt and apple sauce. Pour the wet ingredients into the bowl of dry ingredients. Mix well using a wooden spoon. Transfer the batter into a bread tin lined with parchment paper. Sprinkle the seeds evenly on top.